As nieces and nephews get older I keep getting reminded that they may not be so keen on knitted gifts from their aunt. Now, whilst I firmly believe they have fabulous taste and that my knits would meet any style criteria they may have, I thought perhaps I’d be on safer ground with socks for my teenage nieces. They live in an apartment with tile and wooden floors, so socks are at least useful. Whilst these re knit in Malabrigo sock in the Caribeno colour way. 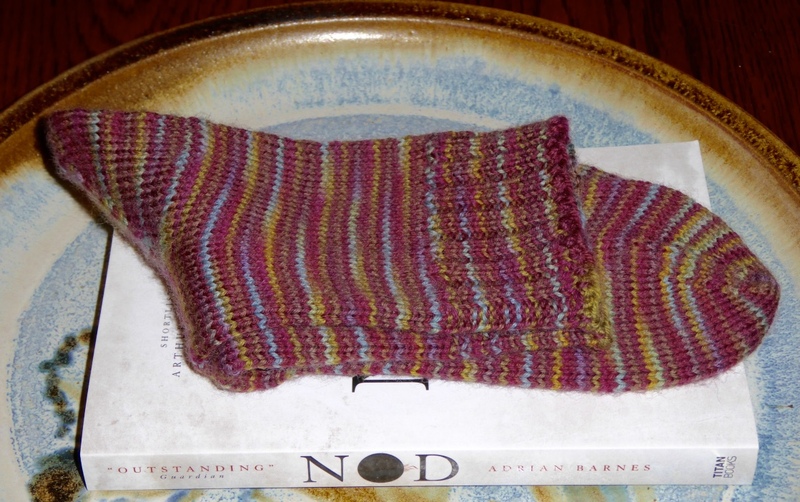 Both pairs were knit to up in my preferred method with an afterthought heel. 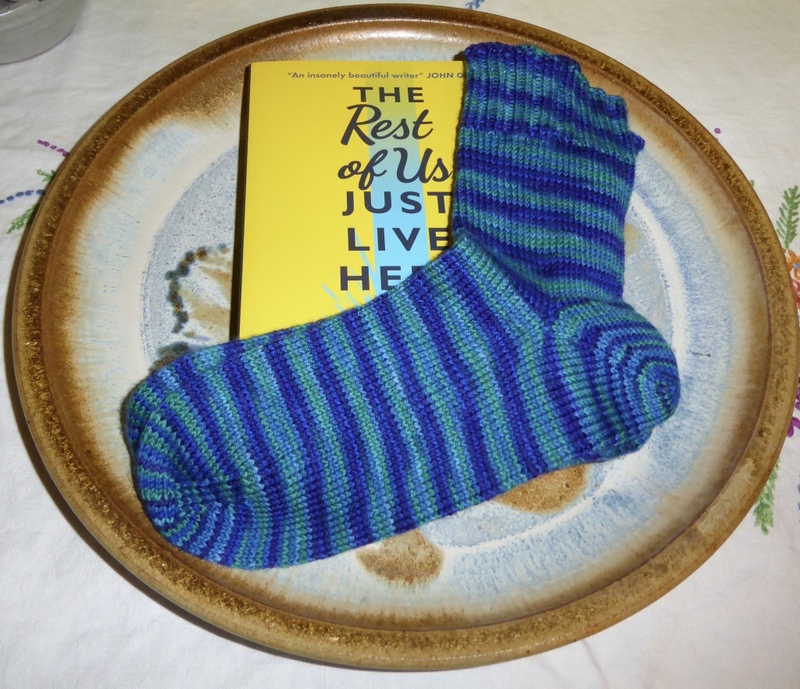 The first pair made from Fyberspates yarn were started in the summer and the second sock was knitted on a work trip this autumn. Despite constantly checking whilst knitting on the train, I managed to put the afterthought heel forethought heel yarn in the wrong place and had to make some adjustments before working the heel. I took some pictures to show how I did this and will share this in a sock surgery post in the New Year. As you can see the socks are paired up with a book each. I am firmly of the opinion that book buying does not count as shopping and the best bit of Christmas shopping is the afternoon I spend in Waterstones reading picture books and the first chapter of books to see if I think they are suitable for their intended recipients.